Green Globe is a company that specialises in importing and marketing natural health beverages from around the globe. 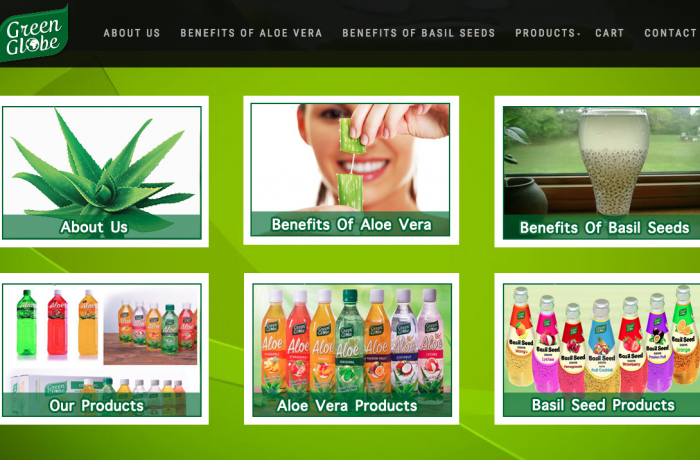 Their objective is to provide quality natural health products under their ‘green’ company ethos. They are true champions for natural health and wellness, and strongly believe wellness can be obtained though consuming the right healthy natural foods and drinks. 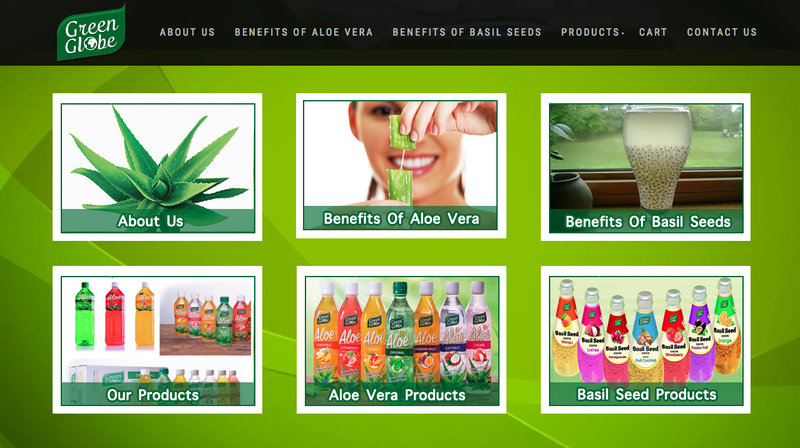 Their healthy and refreshing beverage drink options combine the finest Aloe Vera (gel from leaf) together with delicious fruit flavourings and the refreshing cool basil seed drinks with fruit flavours. We designed and developed their E-Commerce website using a CMS platform with an e-commerce plugin. The payment module has been integrated with PayPal ensuring a safe and secure transaction for peace of mind payment. The e-commerce module also takes into account taxation, stock inventory management and invoice management.